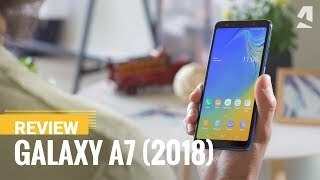 It hasn’t been too long since we saw the Samsung Galaxy A7 2017 hit the market and now there are already leaks and rumors roaming online about the upcoming Samsung Galaxy A7 2018. Some of the benchmarks suggested some notable upgrades in the specs. 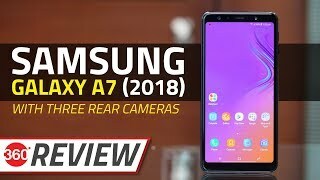 As usual, we will take a look at the Samsung Galaxy A7 2018 Cairo price first before we get to the specs. It should be around 11500 EGP judging from the current Galaxy A7’s price. To find out more about the phone including the Samsung Galaxy A7 2018 release date Egypt, keep reading. While a lot of flagship phones are going for bezel-less displays, mid-range phones are not expected to join these phones anytime soon which leaves us with a design similar to the Galaxy A7 2017’s design. No major changes in design are expected but we don’t have any leaked pictures of the phone yet. 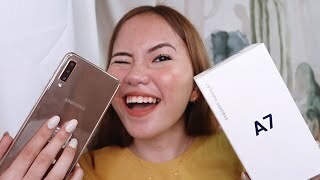 Right after the Samsung Galaxy A7 2018 release date Egypt, it’s expected to be available in four attractive colors: Black Sky, Peach Cloud. Blue Mist and Gold Sand. As the Samsung Experience UI is expected to be unveiled with the Samsung Galaxy Note 8, it is possible that the new UI will be implemented in the upcoming Galaxy A7. This change is expected to lead to smooth and fast Android experience. The screen size will remain the same, a 5.7-inch screen showing 1920 x 1080 pixels resolution. This is where the phone will get a boost, it’s processor and RAM. We don’t know the exact model of the processor but it will be an octa-core processor clocked at 2.1GHz. Moreover, this processor will be accompanied by 4GB of RAM instead of 3GB of RAM that we got in the 2017 version. There is no change in storage which leaves us with 32GB built-in storage but it can be easily expanded using the dedicated microSD card slot. 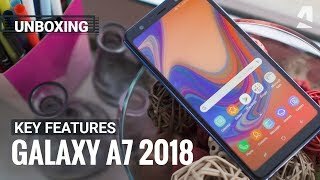 We don’t know much about the new Android operating system after Android Nougat so the possibilities of the Samsung Galaxy A7 2018 to show up with the latest Android OS is very little. For those of you who are not willing to wait for the Samsung Galaxy A7 2018 release date Egypt, there is the OnePlus 3T and Asus Zenfone 3 you can check out. On paper, there are almost no changes in both the rear and front camera. 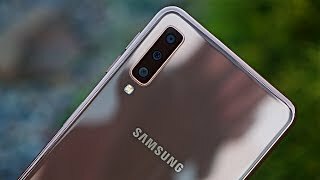 However, some tweaks are expected to take place in the rear and front cameras of the upcoming Samsung Galaxy A7 2018There won’t be any LED flash included with the front camera but it’s too early to say something for sure. Other notable features include: 3600mAh non-removable battery, fast battery charging, fingerprint sensor and IP68 certified for dust and water resistance. There is also the Samsung Galaxy S8 and iPhone 7 if it’s the best camera phone you are after. 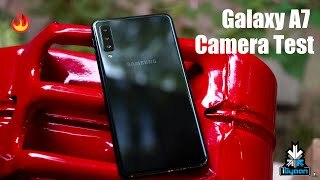 While these phones are not in the same price range as the Samsung Galaxy A7 2018 Cairo price, these are currently two of the best camera focused phones in the market. 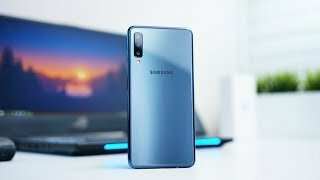 The Samsung Galaxy A7 2018 is expected to be unveiled sometimes in the last quarter of 2017 and released sometimes in the first quarter of 2018. Now that you know the Samsung Galaxy A7 2018 Cairo price, all you have to do is start saving. The washing machine 7 kg 1400 rpm with steam direct drive 6 motions white: fh4g6qdy2 Washers & Dryer is manufactured by Lg and was added around November 2017. The best price for the LG Washing Machine 7 Kg in Egypt is EGP 6641 sold at Rizkalla and available with free shipping and delivery within Dispatched within 2 days. By comparing prices and buying from the cheapest store you can save up to 5% or EGP 349. Price has decreased 7% from EGP 6300 on 2018-10-29 to EGP 5875 today.